In our ebook we share all our accumulated knowledge and the experiences we gained about converting a van into a campervan. In the process of converting your van into a campervan many steps have to be taken. 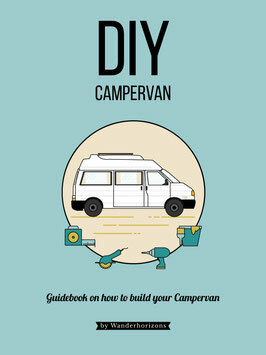 Our eBook DIY Campervan provides you with all the knowledge you need for a successful conversion. From searching and purchasing a van, to rust removal and the preparation of the vehicle base, all the way to the planning and installing of the electrical system, to building the entire interior, to theft protection and much more. 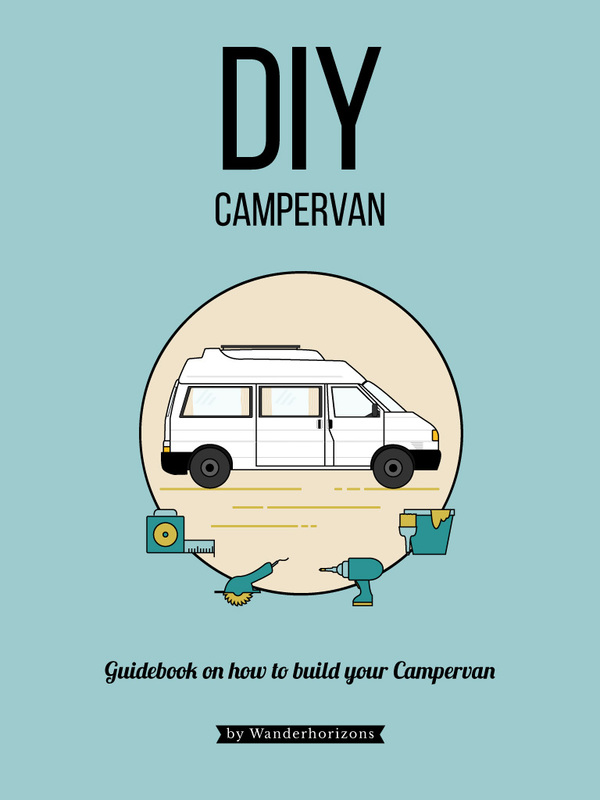 Our 200+ page eBook for your van conversion is in epub format, which is the universal format of the ebook and runs on all devices. This way you can read the ebood anywhere, weather during planning or converting. 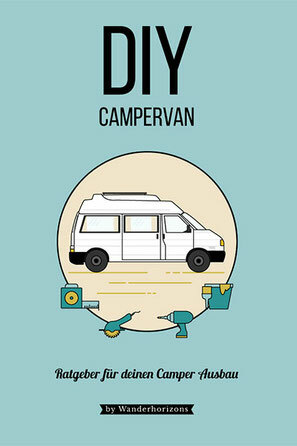 The “How to” guide DIY Campervan provides you with all the important and targeted information for your own Campervan conversion. From vehicle search, budget planning and interior design to theft protection, you'll find all useful tips and tricks for successful campervan projects. Important note! If you would like to purchase the eBook in German come this way. Important note! Our eBook is in epub format. This way we can enable an ideal reading experience without the hassle of zooming, scrolling and swiping. You can read the format on the iPhone, the Android smartphone, your tablet, laptop, PC and, of course, any eBook readers.